Indigenous lives often go unnoticed by the mainstream United States. Ótaés, an artist from the Ramapough Lenape  Nation, is determined to change that. 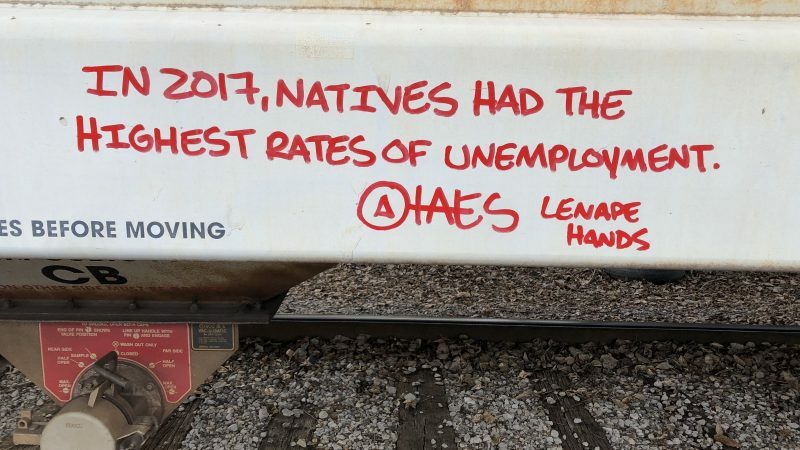 Using a combination of oil markers and wheat pastings,  their work can be seen across the country and “centers around discussing injustices the Indigenous community faces and exposing erased or manipulated history in the Midwest and Appalachian region,” they told Rising Voices. The Ramapough Lenape Nation spans lands in what's known today as New York and New Jersey. The artist gathers their research from a variety of sources ranging from archaeological records to oral history told by elders. To see the full set, please visit the @ndn.o  Instagram account.